Though it's November, I'm happy to inform y'all that you can still be featured as a NappilyNigerianGirl in the Nigerians' Got Good Hair Too series. 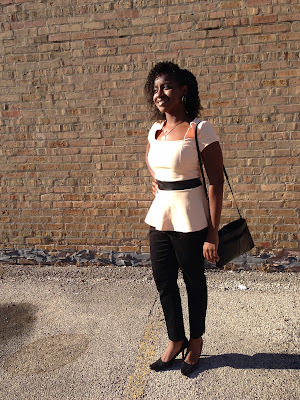 This feature is about a Nigerian who has also been natural all her life. I was really curious about how she managed to care for her hair all this time......want to know more....here's her interview. My name is Tamunotelima Oluwatunmise Olungwe, a native of both Lagos and Okrika, Rivers State. I have been natural for most of my life but this batch of hair on my head has been growing since early 2011. In 2010, I got bored with my natural hair and decided to try a “blowout”, I was so excited by the results that I eventually got perm happy. It wasn’t long before I noticed the difference in the quality of my hair once the perm had been washed out so In about March of 2011, I started transitioning and cut off about 2 inches every 3 months till I was sure it was only new growth I was dealing with. My darling hair, which I have named “Rosie”has been very good to me since I learned how to properly care for her. In the beginning, it used to get on my nerves the way Rosie defied gravity so quickly after a wash but I soon learned it was part of her charm. After I figured out the right products to use on her, I discovered what a lovely afro her defiance of gravity helped me achieve. I love my curl pattern and the softness of my hair texture. My hair regimen varies from month to month depending on what’s going on with the weather outside and how much I’m exercising. I do try to do a protein deep condition every 6 weeks and co-wash every 10-12 days. My use of shampoo depends on how much itch I experience as well as how mush product I've used since my last co-wash so as a result, in between my co-washes, I may do some shampooing. After every wash or co-wash however, I do a water, apple-cider vinegar and coconut oil rinse (Mix those 3 ingredients in a cup/bottle and pour over damp hair). I follow this with the use of a leave-in conditioner. 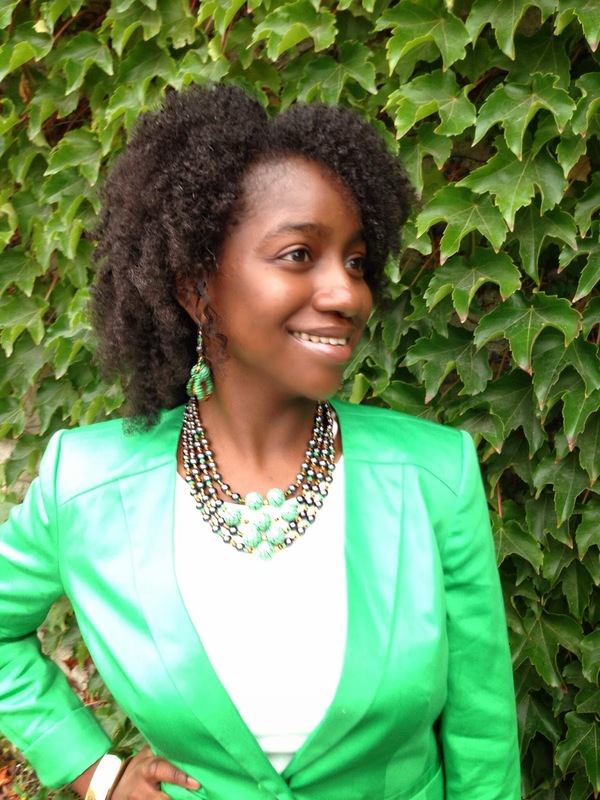 Right now, I am using Curls Unleashed leave-in conditioner by Organics and so far so good. For regular conditioner, I use Dove and I make my own Shea butter styling cream. (at least till I've exhausted the bottle contents. LOL). 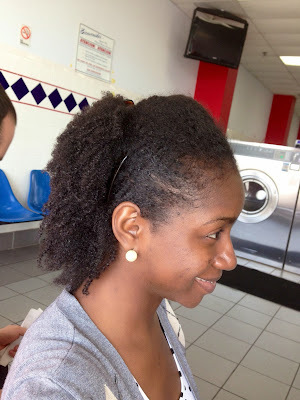 In my protein deep condition, I use gelatin which I’ve found works well with my hair. 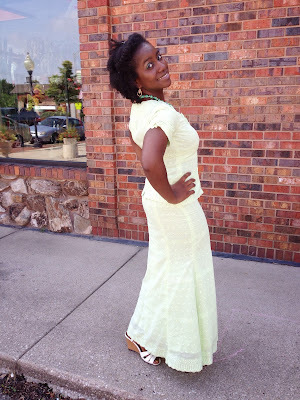 I have tried Obia natural hair products made by a Nigerian based in Texas and I did enjoy them. 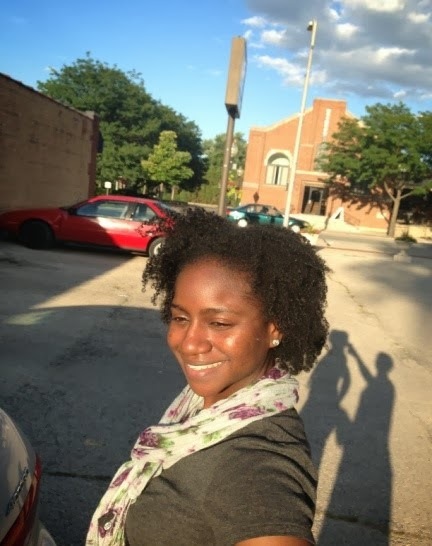 I used her whipped shea based styling cream as well as her curl enhancing custard which is a good gel substitute before I started making some of my products, but I would recommend the Obia natural hair line to any naturalista. I definitely think natural hair is time consuming especially in the beginning (post-twa). My go-to style would be a quick twist out or wash n go fro depending on how short of time we are. This is where spray bottles come in especially handy. In my spray bottle is; water, conditioner, coconut oil, apple cider vinegar and sometimes even leave-in conditioner. When I want to style dry shrunken hair, I spray this mix on Rosie and like a magic wand, she becomes pliable again. o Since I’ll be on an island I didn’t mention water (which’ll be everywhere), always my first ingredient though. Having a night time regimen of twisting my hair with the products of my spray bottle I believe has definitely helped keep my hair healthy and helped me retain length because my ends and edges stay hydrated and moisturized. Sleeping with a satin bonnet or scarf has also helped this cause. I also try not to use much heat on my hair. In fact, in the last year, I can count on one hand how many times I have used heat on my hair. 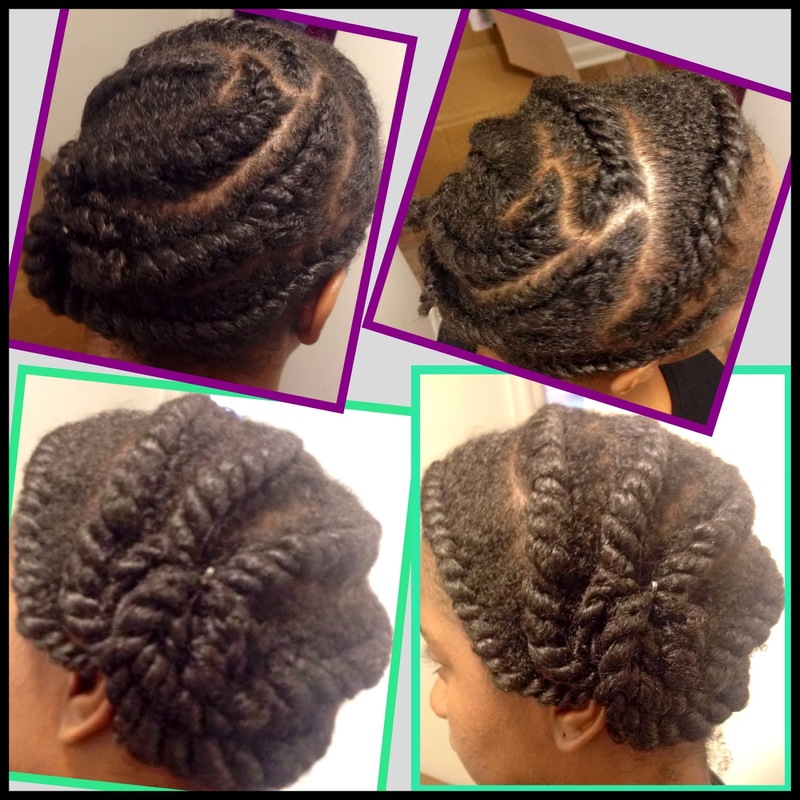 Last but not least, protective styling is key. I usually have my hair in twists of some sort. 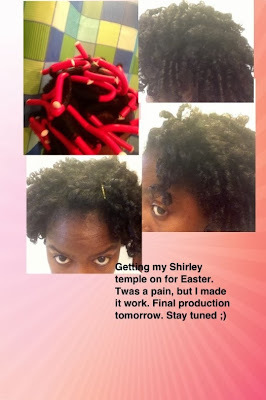 One of the most memorable parts of my hair journey was actually using a recipe to create my homemade shea butter whip cream and then testing it out with a curl rod set during Easter. Oh....did she just curl her hair with bendies......oh yes she did! What has changed since you went natural? Embracing my natural curls has given me a greater appreciation of the beauty that lies within and has made me more resourceful in the ways I take care of my hair and help others do the same. As a Nigerian curly, what challenges have you faced in terms of hair care, styling and people’s reactions? One time when I had a set of old twists on my head, a friend’s mom looked at me and asked “Are you too growing dada”? I was taken aback by this question because I was so used to twists that I thought it would be recognizable to anyone the difference between twists and dread locs. This made me realize natural styling apart from weaving and probably threading seemed to go against the grain of our society when it came to hairstyles. A lot of people of African descent have been misguided by the notion that our hair can’t grow past a certain length or can’t look good without relaxers, weaves, e.t.c. but I am a living testimony that that it’s not true. To borrow the words of a great book; “My people perish for lack of knowledge”. As they say knowledge is power, the sooner more people learn how to care for and manipulate their natural hair, the sooner such myths will be debunked. Heck yes!!! I am proof . What’s the best thing about being Nigerian? Aristotle once said the whole is greater than the parts in a sum, so to sum it all up, everything that makes our nation unique put together makes me proud to be Nigerian in spite of our flaws, failed leadership, cultural rifts and other lacks. We are still a great nation. If I haven’t inspired you yet in my earlier responses, I say “Rome/Lagos/New York/London (you get my point) was not built in a day and "a watched pot seems to never boil”. Start embracing your curls and don’t expect to see results overnight but slowly yet surely great things will happen and you will see your hair thriving in ways you may never have imagined. You may find me on twitter and instagram, username:“@telimarie”. THANK YOU, TELIMA for taking part in this series! Telima!!!!! lovely head of hair you've got.